If you use these products a lot then they are well worth it, however the simple solution is just don't drink and drive! 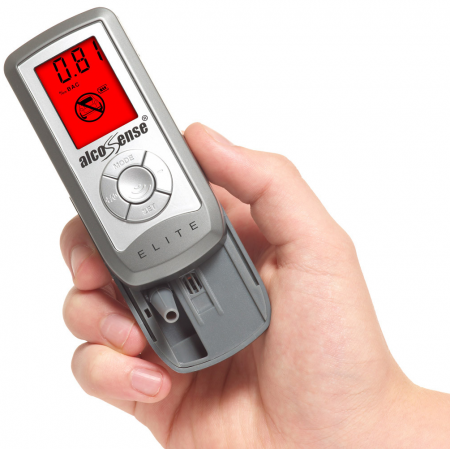 We bought one of the Elite's to show our teenage kids just how little alcohol they needed to drink to be unsafe to drive. Our unit lasted 4 years and was hardly used, maybe 30 times throughout that period. We went to use it one day recently having not used it for several months and the screen didn't work correctly, it had not been misused in any way. I sent it back for repair but it was apparently beyond economical repair. We were offered the same product at a reduced rate. When the unit did work, it was good. You could watch how over time the intoxication level would rise until your body was eventually processing the alcohol and getting rid of it. I used to use Lion Intoximeters in the Police force and these operate in a very similar manner.